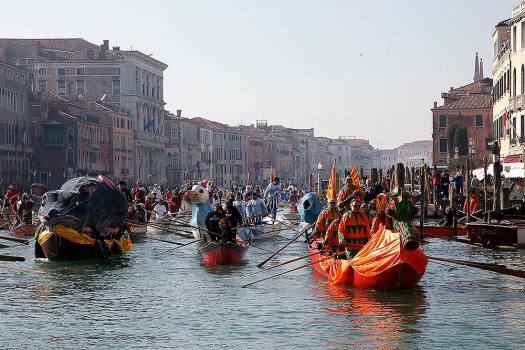 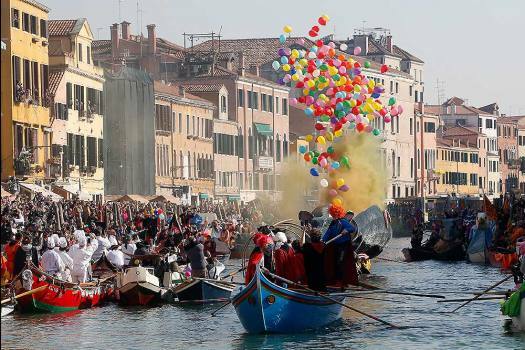 Boats sail during the water parade, part of the Venice Carnival, in Venice, Italy. 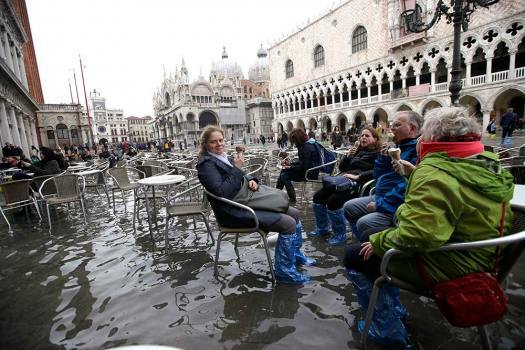 A woman sits as tourists make their way through flooded St. Mark's Square in Venice, Italy as rainstorms and strong winds have been battering the country. 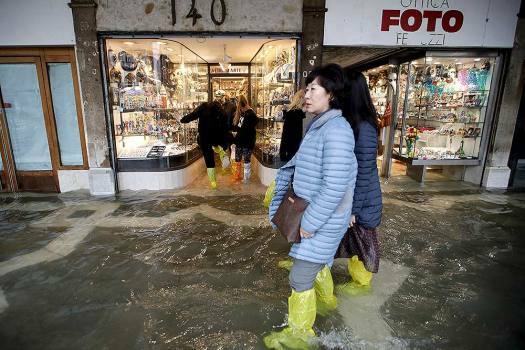 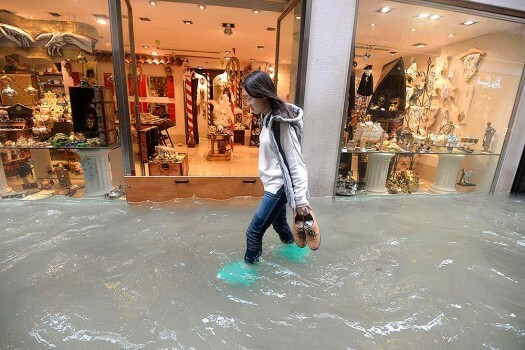 Tourists walk in flooded St. Mark's Square in Venice, Italy, as rainstorms and strong winds have been battering the country. . 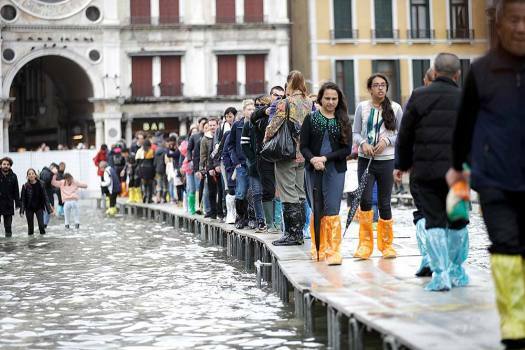 Tourists walk on wooden platforms in flooded St. Mark's Square in Venice, Italy, as rainstorms and strong winds have been battering the country. 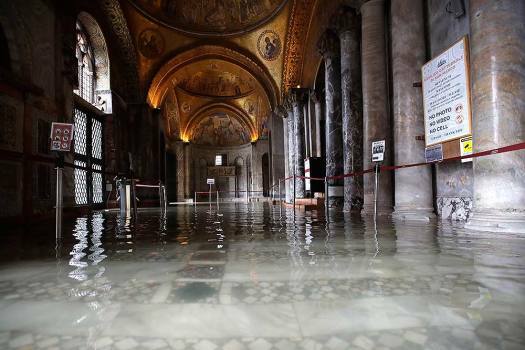 A view of the flooded atrium of St. Mark's Basil in Venice, Italy, as rainstorms and strong winds have been battering the country. 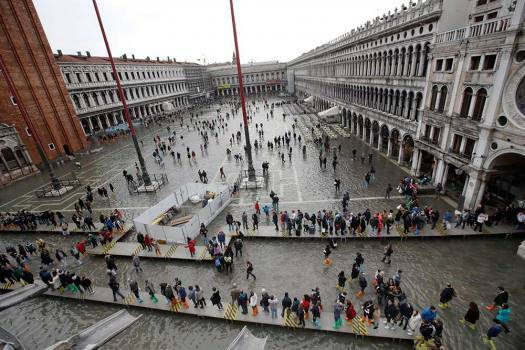 Tourists cross flooded St. Mark's Square in Venice, Italy, as rainstorms and strong winds have been battering the country. 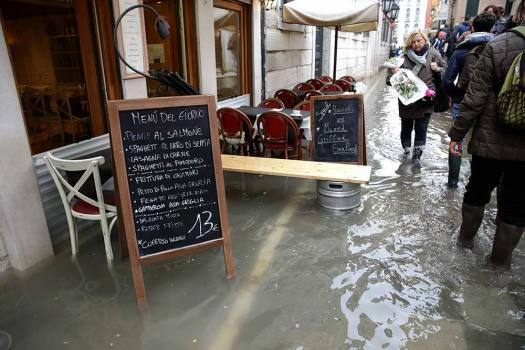 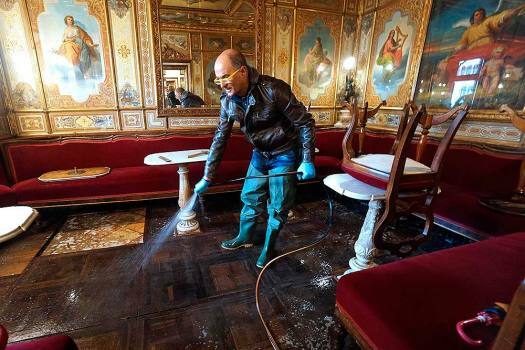 People walk next to a blackboard featuring a restaurant menu in flooded St. Mark's Square in Venice, Italy. 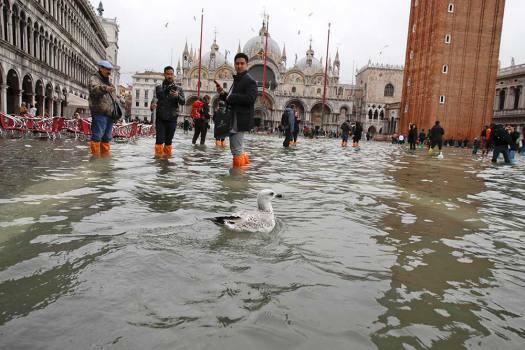 Tourists look at a swimming bird in flooded St. Mark's Square in Venice, Italy as rainstorms and strong winds have been battering the country. 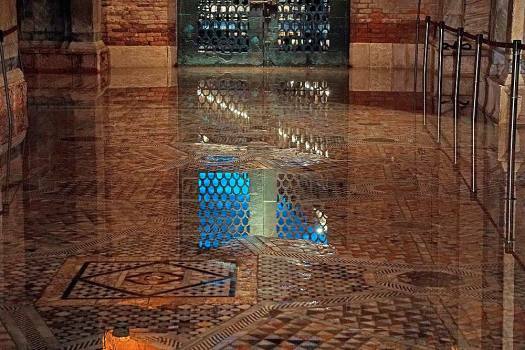 Water covers the mosaic floor of a section of St. Mark's Basilica, in Venice, Italy. 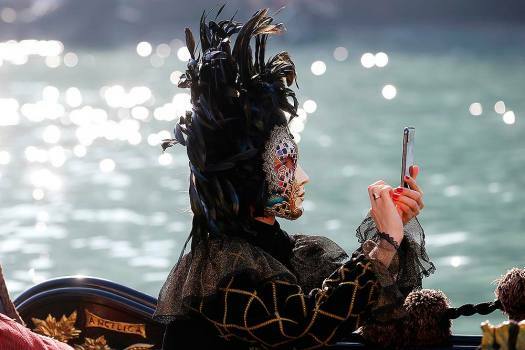 Actress Guan Xiaotong poses for photographers at the photo call for the film 'Shadow' at the 75th edition of the Venice Film Festival in Venice, Italy. 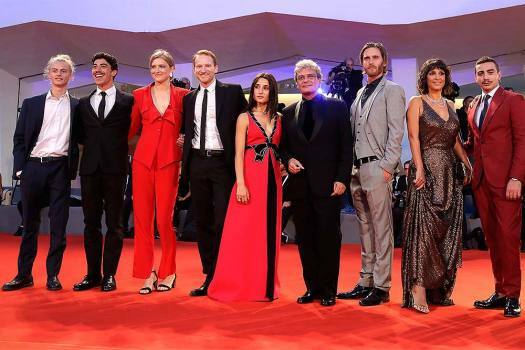 Actress Guan Xiaotong poses for photographers at the premiere of the film 'Shadow' at the 75th edition of the Venice Film Festival in Venice, Italy. 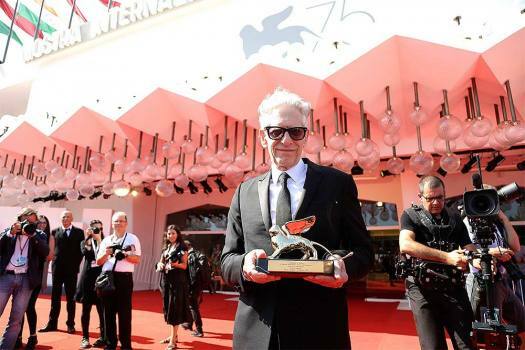 Director David Cronenberg holds his Golden Lion for Lifetime Achievement award at the 75th edition of the Venice Film Festival in Venice, Italy. 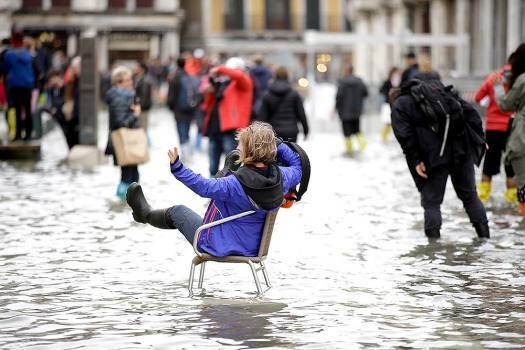 Actress Donatella Finocchiaro poses for photographers upon arrival at the premiere of the film 'Capri-Revolution' at the 75th edition of the Venice Film Festival in Venice, Italy.